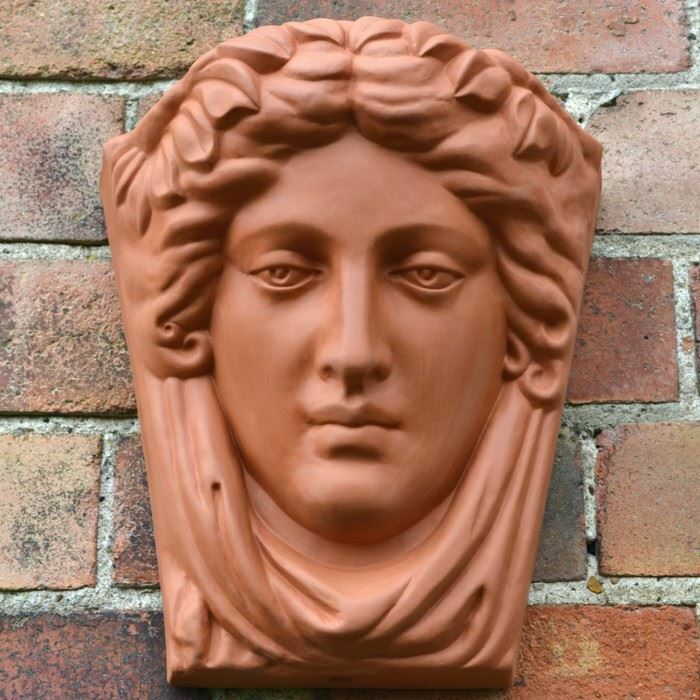 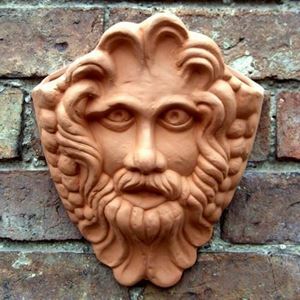 This large & beautifully detailed terracotta wallpot with the face of the Goddess Hera, wife of Zeus & queen of the Olympians, takes its inspiration from Greek mythology. 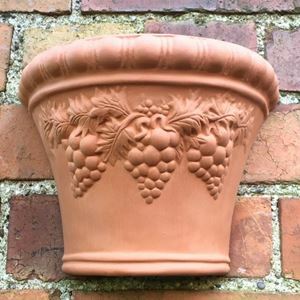 Arranged in pairs or groups wallpots can provide stunning floral displays as well as adding a decorative feature. 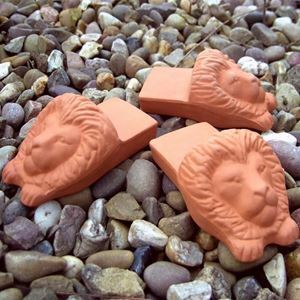 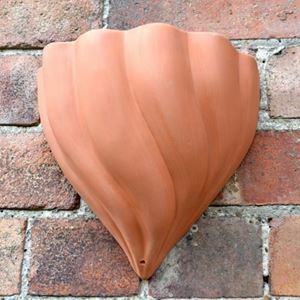 Each wallpot has a flat rear side with a hole for easily hanging on a nail or screw. 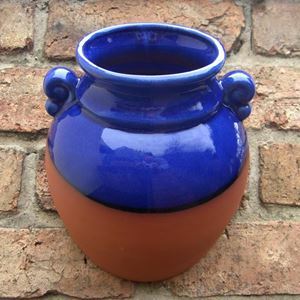 To help prevent water-logging, these pots come with a practical drainage hole in their base.